The National Park Service has launched an internal investigation into the actions of some park rangers after the News4 I-Team obtained video that shows possible security risks at some of D.C.’s most famous monuments. It started when the News4 I-Team received an anonymous DVD in the mail with the words "This must stop" written on it. 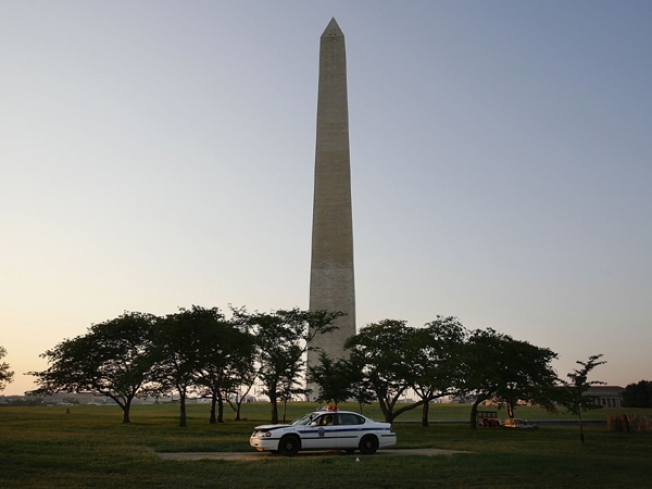 The video shows rangers accessing some of the most famous monuments in Washington: above the Lincoln Memorial, inside the Washington Monument and underneath the Jefferson Memorial, Tisha Thompson reported. But here's why this isn't just your average tourist video. "Breaking and entering," one person is heard saying on the video. People in National Park Service uniforms recorded themselves breaking locks, hopping over construction barriers and picking bolted doors to get into areas all over the greater Washington, D.C., area. Spots even they admit on camera they’re not allowed into. "It’s even locked to us but for whatever reason door was open so I ran and got my camera,” someone is heard saying. The News4 I-Team showed the video to Carol Johnson with the National Park Service. “We’re taking this very seriously," she says. "The actions on the video were inappropriate. They were disrespectful and they're not representative of the hard work of the 22,000 park employees across the nation. And it was very disappointing." The video shows multiple ways to gain access to restricted sections of the National Mall, including underneath the Washington Monument, on top of the Old Post Office Pavilion and inside historical bridges. "If this bridge starts going up I'm going to freak out," someone is heard saying. Due to serious concerns about security, the News4 I-Team agreed not to show some of the access points. "Our security concern is to make sure that these facilities were secure," says Sgt. Paul Brooks with the U.S. Park Police. He says as soon as they saw the video, his officers checked out the locations. "We made sure we went and had our physical inspection and found that everything was secure." Parts of the video are at least 10 years old, like shots of the National Mall with the World War II Memorial under construction. But the News I-Team has identified at least one man who is still working as a park ranger here in D.C.
Johnson says, "We're doing an internal investigation and we're going to take disciplinary and legal action as warranted." The Park Service says it also identified at least one employee currently working on the National Mall and is now in the process of interviewing current and former managers to find out what the rangers did, and did not, have permission to do. The Park Service promises to keep us updated on the results of their investigation.